Out of 168 popular moisturizers, we found four that will help your skin do its job best. 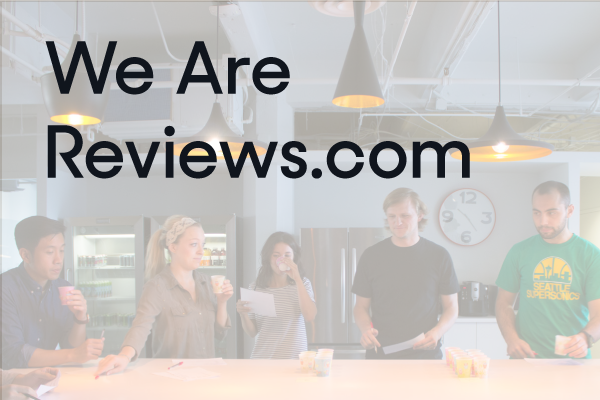 March 1, 2018 - After examining new research and speaking with 16 experts (including dermatologists, aestheticians, and a chemist), we overhauled our review with a more rigorous methodology and all new recommendations. 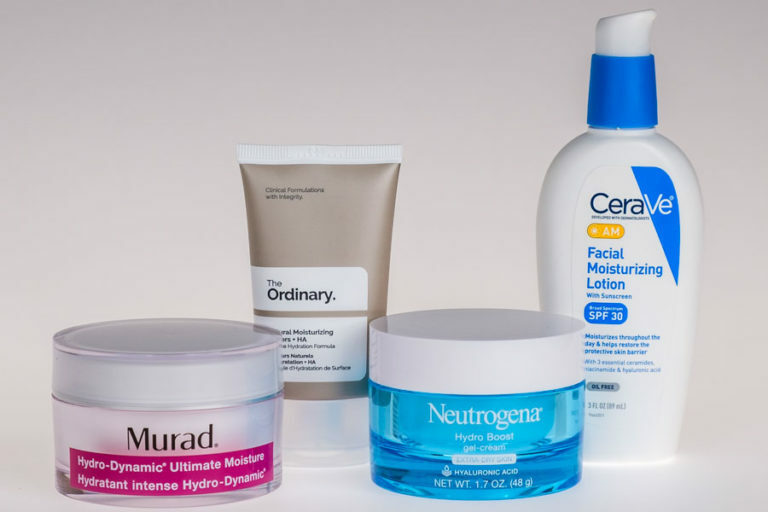 Murad’s face moisturizer is the only one that remains a top pick. You’ll never find a product that just calls itself “face moisturizer.” Without a doubt, it will proclaim to be either for daytime or nighttime, or claim to pull a Benjamin Button on your skin. To see past the marketing hype and figure out which of our top picks works best for you will depend on a few things: Your preference for feel (and if that changes based on day or night use), your skin’s tendency to get acne, and your budget. 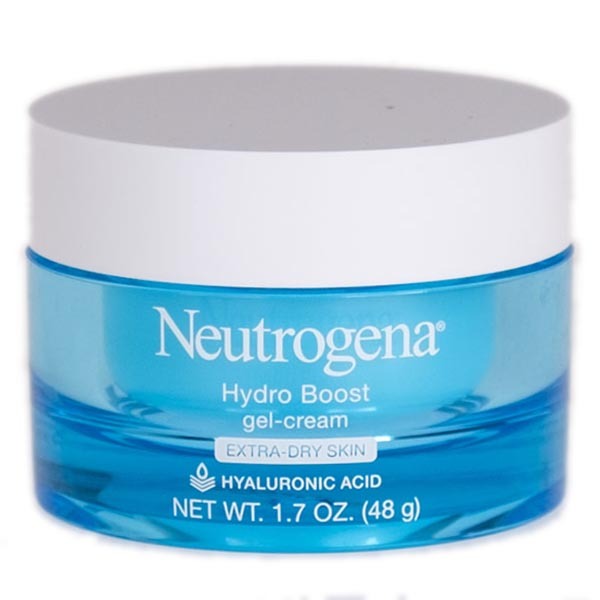 Neutrogena’s Hydro Boost Gel-Cream is a versatile pick for anyone (yes, even acne-prone people) who wants a light, day-to-night moisturizer. A little bit of the thin lotion goes a long way and instantly hydrates skin without leaving behind any residue. Bonus: You can find it online and at drugstores for $20 per 1.7-ounce jar — cheaper than most of the 168 moisturizers we evaluated. 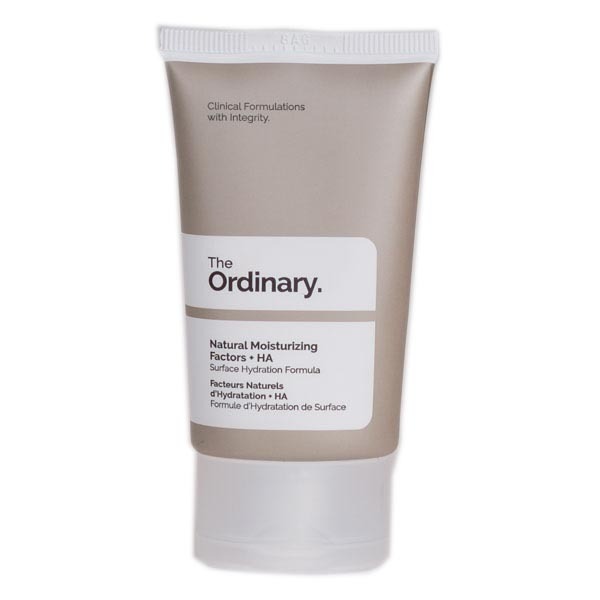 For a richer, more luxe finish, look to The Ordinary’s Natural Moisturizing Factors + HA. Like Neutrogena’s gel-cream, it comes in a small package and is ideal for day- or night-time wear — but that’s where the similarities stop. This one goes on thicker, and leaves behind a velvety feel that left testers’ skin feeling seriously nourished. It’s on the cheaper side at $8 for three ounces — which vibes well with the company’s pledge to be transparent and affordable. We only wish the bottle held more product and that its ingredients were more friendly to acne-prone skin. You can find it on Amazon, The Ordinary’s website, or at beauty retailers like Sephora and Ulta. 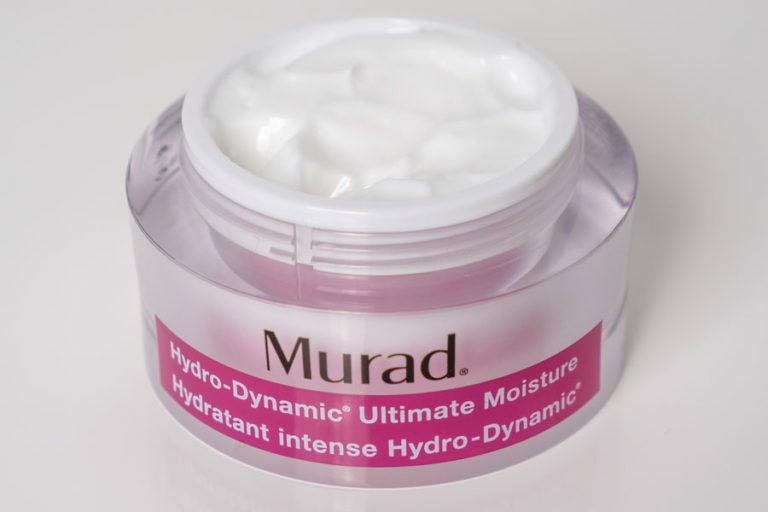 If you’re looking for a double-duty product that that smooths out fine lines while it moisturizes, consider splurging on Murad’s Age Reform Hydro-Dynamic Ultimate Moisture. At $75 for 1.7 ounces, it’s the most expensive of our top picks. That price may just be worth it, though, since it’s the wrinkle-busting face moisturizer our testers rated highest in a blind test. Everything about this cream feels high-end; from its sleek packaging to its velvet finish. But you’ll have to reserve it for night use (and avoid it altogether if your skin is acne-prone) — dermatologists advised us to stay out of the sun if you’re wearing its “anti-aging” retinyl palmitate. You’ll find this one on Amazon or at beauty retailers. 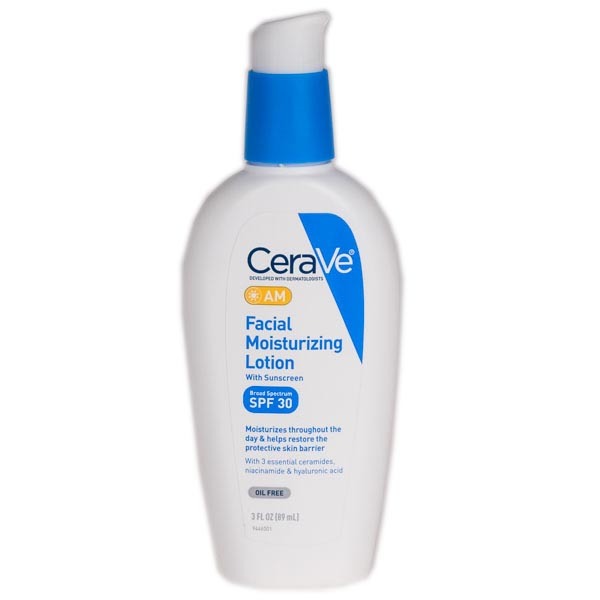 If there’s an opposite of our Murad pick, it’s CeraVe’s Am Facial Moisturizing Lotion SPF 30. This one’s all business, with none of the luxury but plenty of action. It’s the only top pick with SPF — actually, it was the only SPF moisturizer to make it through our stringent ingredient requirements at all. That alone is impressive, but we also love that it’s safe for acne-prone skin and comes at an affordable price (just $13 at any drugstore or Amazon). Like any moisturizer with SPF, though, it resembles sunscreen in every annoying way: That signature smell and initial white streaking. Still, if you don’t trust yourself to do what derms recommend (apply sunscreen before your moisturizer), we’re convinced you’ll be happy with this combo product. The streaks and smell fade in just a few minutes, leaving skin with a clean finish. We gathered online and in-store best-sellers. We went to — and found — face moisturizers people are already faithfully buying. Our theory: Regardless of marketing claims, if lots of people love a product, it’s hitting a sweet spot for at least one subset of face moisturizer users. So, our first task was to collect a mix of universally loved products. To keep things simple, we kept our search to only products included in the “face moisturizer” category and left out borderline makeup products like tinted moisturizers and BB creams. After gathering the top 50 from popular retailers — from “everything” stores like Walgreens, Amazon, and Target to cosmetics giants like Ulta and Sephora — we had our initial list of 168 face moisturizers. Products ranged from Pond's $5 Dry Skin Cream to La Mer’s $315 Créme De La Mer. We cut anything with potentially harmful, unnecessary ingredients. No matter how nourishing a face moisturizer is, it’s useless if it contains ingredients that will irritate or harm your skin. Our first order of business was to cut any face moisturizers from our list with ingredients that don’t provide skin with any benefits — and might even harm it. We combed through all 168 contenders looking for four kinds of ingredients: fragrance, simple alcohols, irritants, and dyes. The ingredients in those proprietary blends are often irritating — in our interview with Dermatologist Dr. Cynthia Bailey, she referred to fragrance ingredients as “notorious allergens.” Research agrees; one five-year study found that the leading culprit of cosmetics-caused allergic reactions is fragrance. Simple alcohols — not to be confused with smoothing, fatty alcohols like cetyl and stearyl — are often added to skin and hair care products as carriers for solid ingredients. However, Cosmetic Dermatology: Products and Procedures, a compilation of rigorous research and articles from dermatology-focused academics, and skincare line Paula’s Choice warn about simple alcohols’ drying and potentially sensitizing effects on skin. You’ll see them listed as alcohol denat, SD alcohol, ethanol, denatured alcohol, methanol, isopropyl alcohol, and benzyl alcohol most often. Cosmetics have a tendency to cause nasty skin reactions — one study found that 12 percent of a 1600-person sample had experienced a reaction in the last five years, and a third of those reactions were from face creams. While unnamed fragrance is often to blame, other ingredients — even the ones like “lavender” or “lemon oil” that sound fresh and natural — have potential to be just as sensitizing. There’s no definitive list of ingredients that might cause skin reactions. 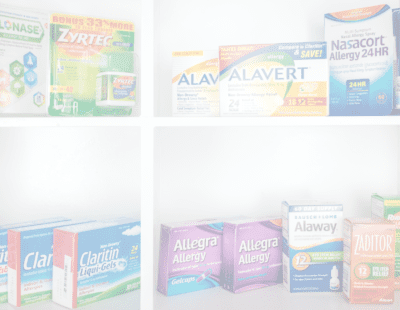 Dermatologist Dr. Shari Hicks-Graham told us, “Any natural or chemically derived ingredient (other than white petroleum jelly) has the potential to be an allergen to any given individual.” But some ingredients are more likely to cause a reaction than others. So, we used consumer advocate and founder of Paula’s Choice Skincare Paula Begoun’s Ingredient Dictionary to comb through our contenders, and cut any products that contain irritating or sensitizing (meaning it causes an allergic reaction after prolonged use) ingredients. We also eliminated face moisturizers with ingredients that walk the line between safe and unsafe. If an ingredient, like an artificial dye, doesn’t serve a beneficial purpose to the skin and isn’t necessarily proven to be safe, we cut it. We felt comfortable being so conservative here for a few reasons: You’ll likely be applying your face moisturizer twice daily. That’s probably more than any other product you use on your face, and your facial skin is the part of your body that’s most exposed to the elements (sun, wind, dirt, etc.). It’s counting on you to keep it working well, not to put it in harm’s way. The dermatologists we spoke to agree: To cut down on potential rashes and reactions, keep the recipe simple. With all the bad ingredients out of the way, we were left with 53 products. But the best shouldn’t only have an absence of bad ingredients, it should have plenty of the good stuff, too. We required two standout ingredients: hyaluronic acid and glycerin. Humectants are the most important part of a moisturizer. They attract moisture (from the air and your body) to your skin’s surface. Occlusives, which can be oil-based or oil-free, sit on top of your skin and trap in moisture. Emollients fill in the cracks on your skin’s surface to leave it feeling smooth. Any ingredients beyond those three are either marketing hype or serve a function beyond moisturizing (like anti-aging retinoids). 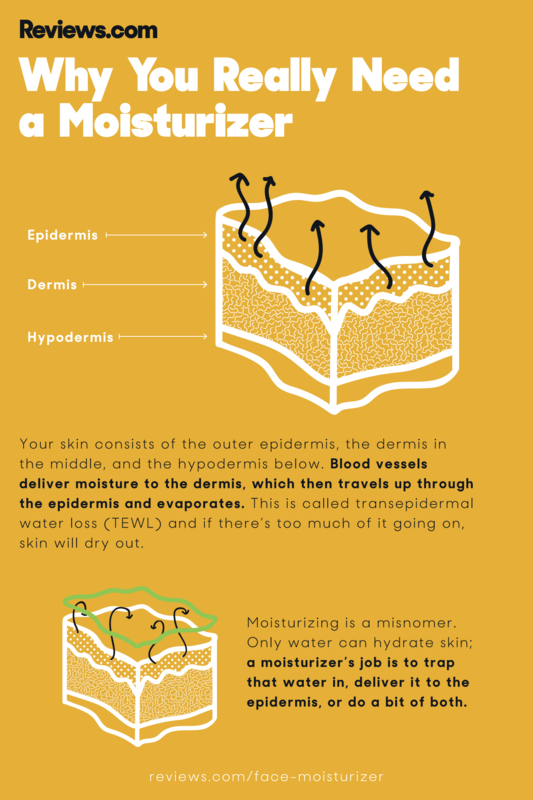 Occlusives and emollients impact the way a moisturizer feels on your skin. For example, oil-based occlusives might leave a greasy film, while an oil-free alternative like dimethicone won’t feel so heavy. You might prefer one of those sensations over the other, but our skincare experts advised us to make sure the humectant ingredient is as effective as possible. The dermatologists we spoke to sang the praises of two humectants again and again: glycerin and hyaluronic acid. While other ingredients were mentioned only here and there by a dermatologist or two, hyaluronic acid and glycerin were clear crowd favorites. And there’s research to back up the hype. In 2010, a report out of Duke University’s Department of Dermatology dubbed glycerin the “gold standard for moisturization.” That’s because it’s manufactured in a way that ensures purity and has been tried and tested to find it’s almost totally hypoallergenic. Above all, it keeps skin soft without increasing its water content, mimicking skin’s natural moisturizing processes better than most of its comrades. It’s a solid win-win ingredient, and the best face moisturizer will have it. The Hulk of Humectants: hyaluronic acid (and its derivative, sodium hyaluronate) is just as impressive. Hyaluronic acid occurs naturally in skin and pulls some serious weight, but we lose it as we age. Hyaluronic acid is commonly marketed as an anti-aging ingredient — and it is, but only when it’s injected. Topically, it’s just a fantastic humectant. Like glycerin, it attracts water without overhydrating it and plumps up skin temporarily. Because it can attract so much water for its weight, even a little bit of it can have a major impact. We initially thought finding a face moisturizer with both of our dream ingredients — hyaluronic acid/sodium hyaluronate and glycerin — would be just that: a dream. So we went in skeptical — and celebrated when we found that 18 remaining face moisturizers had both of our ideal humectants. It’s not that the formulations with just one of the superhero ingredients will be bad, but we love when we get to be picky; especially when it comes to a product you’ll be using on your skin so often. Then we slathered on the finalists. Our top 18 were a mix of price points ($5 to $75), and represented a wide range of use cases (one had SPF, while others advertised themselves as “nighttime” moisturizers). We wanted to see how each product felt on our skin: Is it creamy like a lotion or slick like an oil? Does it disappear or leave a greasy residue? Does it smell OK? After all, the best moisturizer is useless if you don't want to put it on your skin. So we gathered 10 testers to try four moisturizers each. 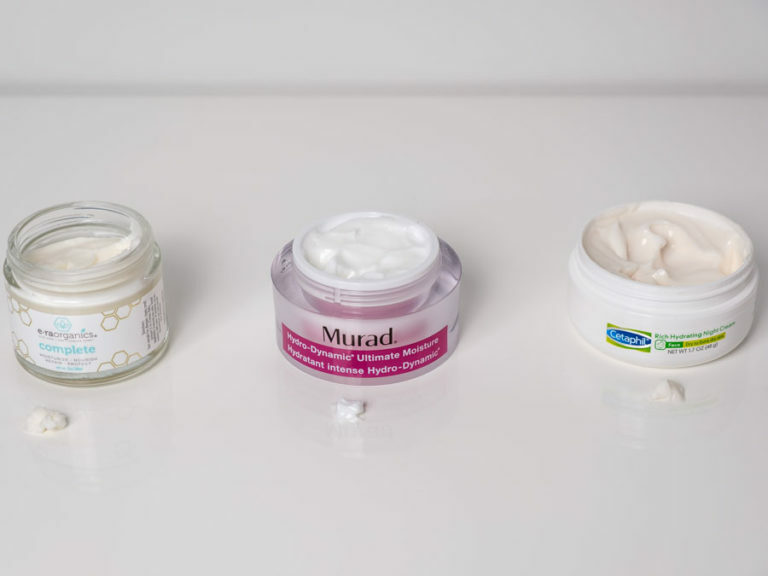 To keep things fair, we put the products in unmarked cups so testers couldn’t be swayed by Murad’s high-end pot packaging, or put off by Aveeno’s curdled-looking trough of Skin Relief Intense Moisture Repair Cream. This testing wasn’t about brand names or appearances; it was all about skin feel. 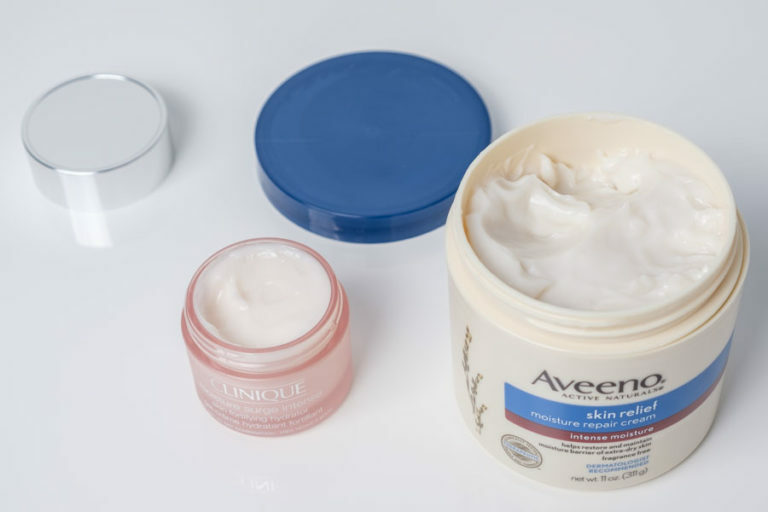 The big pot of drugstore Aveeno got higher ratings from testers than chic, recognizable Clinique. Our finalists quickly fell into two categories: thick coverage and light coverage. Which one of those works for you is — maybe surprisingly — less about skin type and more about preference. Our skincare experts posited that dry skin craves a rich moisturizer that sits on top, while oily skin wants something light that soaks in immediately. But where you live, what season it is, whether you wear makeup, and the time of day can all impact your preferences, too. 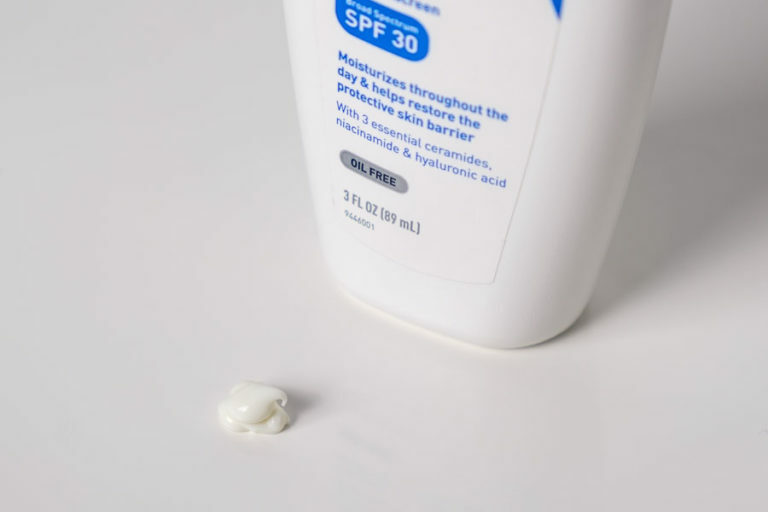 Somebody visiting Alabama for the summer, for example, might want to ditch the thick stuff for something like our top pick from Neutrogena, which goes on light and soaks in quick. If you’re taking a ski vacation to the Rockies, on the other hand, reach for something like The Ordinary’s thick and nourishing moisturizer before you hit the slopes. And if you wear makeup, you’ll probably want something thin that soaks in fast in the morning, regardless of your skin type. Because it’s so subjective, we won’t prescribe any given moisturizer to a specific skin type. Instead, we used our testers’ input to bucket them primarily based on feel; You can decide which feel works best for your current situation and preferences, given all the variables we mentioned. We had our testers rate each moisturizer based on how likely they were to use them on a daily or nightly basis. From our field of 18, the top four finalists are the products our testers were most likely to use for each use case — they stood above the rest. Of all the top picks, this moisturizer will work for the most people: It can be worn during the day or at night and has no blackhead-causing red flags for acne-prone skin. It’ll be your new go-to, as long as you like light coverage. If you like your face moisturizer to go on smooth and soak in completely, look no further. 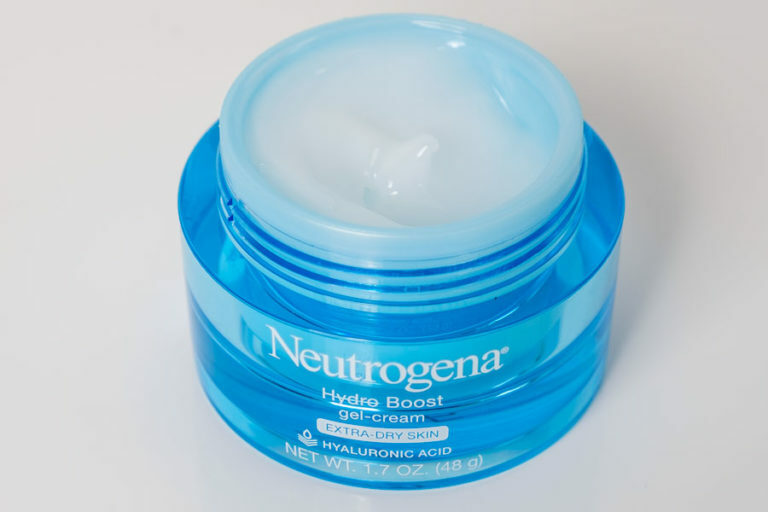 As one tester put it, Neutrogena Hydro Boost Gel-Cream “feels like your skin is taking a big drink of water, and swallowing it instantly.” The result? A feel that’s all hydration and no residue, a goop-less surface that’s ready for whatever other products you want to throw its way. We’ll let you know up front: This one doesn’t feel or look like the average moisturizer. We rolled our eyes when we saw how small the jar was — just 1.7 ounces for $20 — but our attitude shifted when we realized how little of it is necessary to get full coverage. As the name “gel-cream” suggests, Neutrogena’s translucent moisturizer is thinner than what you may be used to. It spreads out quickly and evenly; think more like a shampoo than a conditioner. And because it’s so thin, it goes on clear from the get-go and takes just seconds to soak in. Testers much preferred that finish over the white streaks our SPF pick from CeraVe left behind. A universally friendly ingredient list makes this the moisturizer we’re most likely to recommend to a friend, regardless of skin type. None of its ingredients were flagged as potentially pore-clogging by Face Reality Acne Clinic and The Acne Treatment Center, so acne-prone skin should be safe. And while the average moisturizer we tested had 30 ingredients, this one has just 19. The fewer the ingredients, the fewer the chances for something to sneak in that’s irritating to your skin. 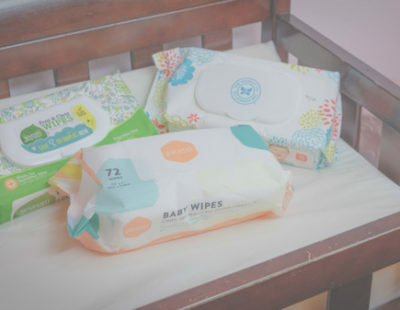 Plus, we love that you can find it almost anywhere: Right now, you can easily pick it up in-person at Target or Ulta, and order it online at Amazon or Neutrogena’s website (where you can even set up a “repeat-delivery” setting so you never run out). Before you buy, though, we suggest you think about what finish you want during the day separately from what you want at night. While Neutrogena was one of the only face moisturizers that testers said they were likely to use for both, they were slightly more likely to wear it during the day. That’s because its finish and feel is 100 percent quenching, but not necessarily luxe. At night, some people prefer to go all-out with a rich, mask-like finish that leaves a layer to soak in as they sleep. If that sounds like you, Neutrogena’s gel-cream won’t satisfy that need — we recommend adding one of our thicker picks to your arsenal. Two other moisturizers finished just behind Neutrogena in this same, light coverage category for day or night — but both have ingredients that may cause blackheads in acne-prone skin. If your skin is in the clear, though, they both left testers feeling simply hydrated, not greasy or tacky. One, Peter Thomas Roth’s $38 Water Drench Hyaluronic Cloud Cream, is $18 more than Neutrogena per ounce and, to be totally honest, is packaged like it’s the high-end alternative Neutrogena was imitating. We gave Neutrogena the edge because it’s acne-friendly and it got slightly higher satisfaction scores from testers, but Peter Thomas Roth will give your skin a similar feel. 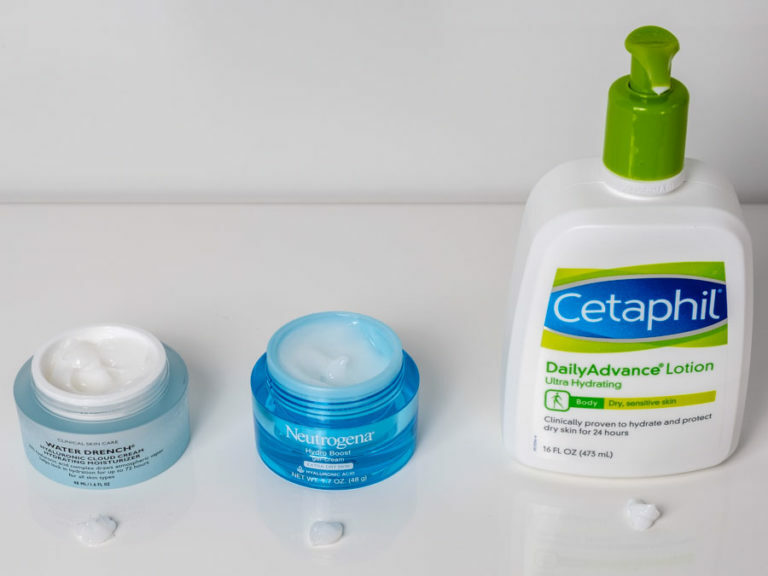 For a cheaper alternative to both, Cetaphil’s $10 Daily Advance Lotion is less than a dollar per ounce and is actually advertised for use on the body — buying in bulk, anyone? It has a couple of potential blackhead culprits, though, and got just slightly lower scores from testers than Neutrogena. If you’re looking for a velvety, heavy finish, this one’s safe for night or day. Like most thick moisturizers we tested, though, it has a couple red-flag ingredients for acne-prone skin. The Ordinary has been making waves since 2017 as a super-affordable, transparent disruptor in an industry that’s known for keeping customers in the dark. It’s one of the brands we were most curious about going into blind testing: Would testers still appreciate the product without its trendy, minimalist branding attached? The answer was a resounding yes. Its velvety finish left skin feeling healthy, hydrated, and spoiled; we recommend it for any occasion your skin’s craving moisture. For people with naturally dry skin, it may be an everyday necessity; for others, it’s a great seasonal standby when the winter wind and cold leaves your skin parched. The Ordinary’s thick cream strikes a delicate and rarely achieved balance for thick moisturizers: It’s not too heavy to wear under makeup, and a good weight for night. Most of the thick moisturizers we tested were confined to night-only use by their sun-sensitive ingredients (for one, Era Organics Complete Natural Face Moisturizer Cream), if not a too-heavy-for-makeup feel (looking at you, Drunk Elephant Lala Retro Whipped Cream). 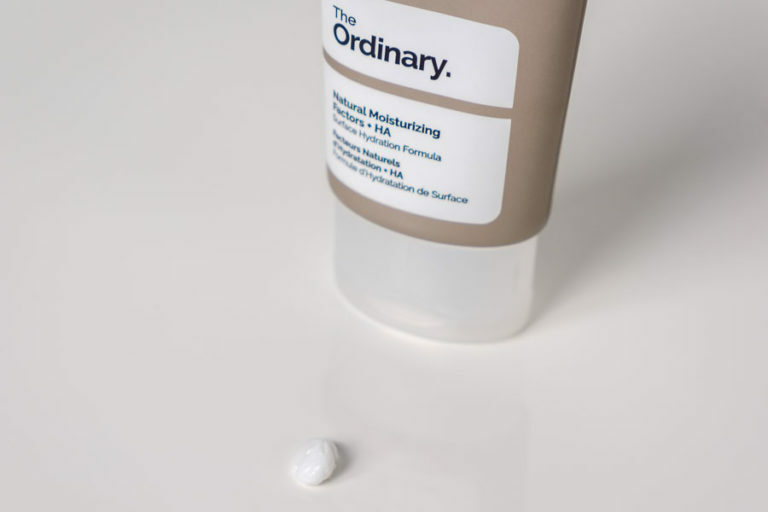 But The Ordinary has mastered the just-right thickness; testers said they’d be just as likely to wear it to bed as they would be to apply it when they woke up. Since The Ordinary’s is a thick moisturizer, you’ll run out more quickly than with the thinner moisturizers we recommend. Still, it’s just $5 for an ounce, and it stood above all other thick moisturizers. The stakes are low for spending a fiver to see if it’s worth it — you can find it at Sephora, or online on The Ordinary’s website. It’s also available on Amazon, but when we published this review, it was about $10 more expensive there. We wish we could recommend this one to everyone looking for a thick moisturizer, but two ingredients keep us from doing that: cetyl alcohol and sodium chloride. Both of these are rated as good ingredients by Paula’s Choice — cetyl alcohol can be a great emollient, and sodium chloride may be what gives the cream its perfect thickness — but they have some potential for clogging pores in acne-prone skin. If you’re acne-prone and want something a bit thicker than the acne-safe Neutrogena top pick, we recommend trying Clinique’s Moisture Surge Intense Skin Fortifying Hydrator. That one’s pore-friendly and leaves a tacky feel, rather than totally disappearing like Neutrogena. Just one caveat: Its aloe-like (or, as one tester said, “medicinal”) smell was polarizing with testers, so pick up a sample before you buy a whole bottle. Another option for thick coverage is Josie Maran’s $59 pot of rich cream. Like The Ordinary, it has some pore-clogging potential, but testers said they’d be just as likely to wear it during the day. 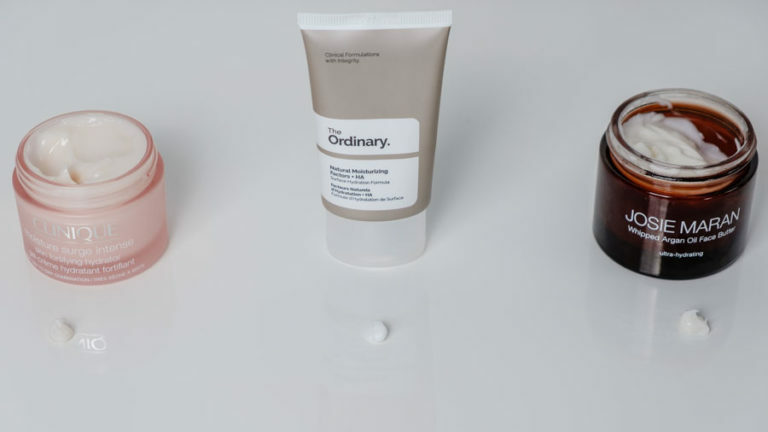 The Ordinary won out because its product got slightly higher scores for nighttime use, and testers’ comments on Josie Maran’s silky finish weren’t quite glowing enough to justify the $30/ounce jump in price. One tester called it “okay, but not great,” while another said they thought it was simply “better than a bad moisturizer.” We certainly don’t expect our everyday moisturizer to blow us away, but we wouldn’t recommend paying more for a similar product unless we could justify the difference. For light coverage and potentially skin-plumping benefits, testers loved this nighttime-only pick. 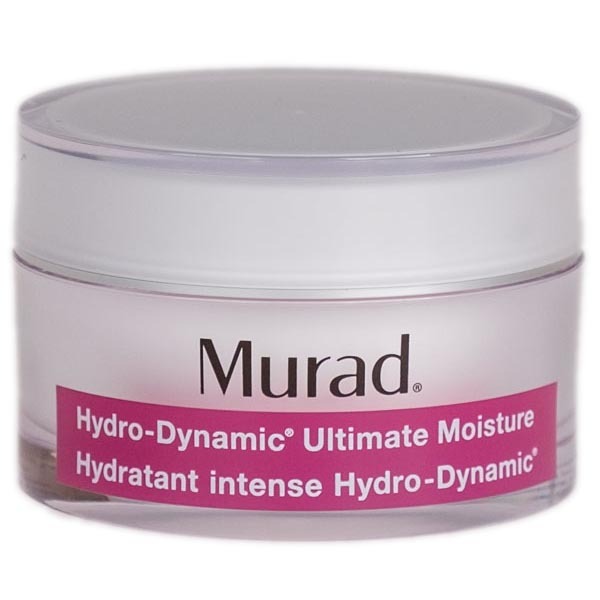 Murad is a classic name in the skin care industry, and is no stranger to us at Reviews.com; it was one of our top picks the first time we reviewed face moisturizer, too. And it retains its place on top for one major reason: It’s the face moisturizer with a retinoid that testers like most. When we opened Murad’s gem-like pot of cream, it was less, well, creamy than we expected. Its feel is like a hybrid of our top picks for light coverage and thick coverage: Thin enough to go on smoothly and evenly, and thick enough to feel velvety and pampering. And maybe it’s because we knew about its “anti-aging” ingredient already, but we even felt a hint of tingling when we applied it — like it was already hard at work filling in our fine lines. That ingredient is the reason we can’t recommend wearing this during the day, though, even though testers said they’d enjoy the moisturizer’s weight anytime. If you want to moisturize with a side of wrinkle busting, this is the product the most testers could get behind. But if you’re looking for an anti-aging powerhouse, you’re looking for another product altogether — like we said before, there’s probably not enough of a wrinkle-fighter in a moisturizer’s formula to make much of a difference. Murad’s no exception. Build your wrinkle-fighting regimen. For a cream with a higher concentration of retinoids, check out our eye cream and wrinkle cream reviews. The anti-aging ingredient here is retinyl palmitate, a Vitamin A (retinol) ester combined with a fatty acid. There’s limited evidence to support that it’s as effective at fighting wrinkles as OG retinol, and — true to what we know about moisturizers — it’s near the end of its ingredient deck. So it’s hard to say what, if any, “anti-aging” effects you’ll see if you use Murad (or any over-the-counter moisturizer) over time. But the overall experience using Murad made testers swoon; so we still think it’s worth a try. There are just two things we wish we could change about Murad: Its price and a couple of potential pore-cloggers for acne-prone skin. At $75 for 1.7 ounces, it’s $30 more per ounce than any of our other top picks. You’ll still be able to find it on Amazon, though, or stores like Sephora and Ulta. We’ll admit that you can feel the luxury from the moment you open its high-end packaging; even when testers didn’t know the price, they were thrilled with the overall experience using it. For a cheaper alternative that also contains retinyl palmitate, check out Era Organics’ Complete Natural Face Moisturizer Cream. At $24 for 4 ounces, it’s about $38 per ounce cheaper than Murad, and testers fell head over heels for its mask-like coverage and strong coconut scent. But with that scent comes a catch: Coconut oil (along with a couple of its other ingredients) can cause blackheads in acne-prone skin. It’s best to avoid Era’s and Murad’s (which has comedogenic ingredients like algae extract, cetyl alcohol, myristyl myristate, and shea butter) creams if that sounds like your complexion. But if you have acne-prone skin and want a night cream with retinoids, you’re not totally out of luck. Try Cetaphil Rich Hydrating Night Cream With Hyaluronic Acid. It’s the only cream with retinoids that passed our ingredient cuts and is safe for acne. It didn’t edge out Murad because some testers didn’t like the greasy layer it leaves behind, but others said that same feel was luxurious and perfect for nighttime (Bonus: it’s also $30 cheaper per ounce than Murad). Experts recommend buying a separate face sunscreen. But if you know you won’t apply two products, this is the only face moisturizer with SPF that meets our ingredient requirements. We’ll be honest, CeraVe’s daytime moisturizer isn’t anything to write home about; it’s all function and no frills. But it stands out from the pack as the only face moisturizer with SPF protection from our original list to make it past every ingredient cut. What’s even more impressive is that it’s acne-friendly — as far as we’re concerned, this all means CeraVe has the SPF game on lock. A moisturizer with SPF will always be the underdog in a head-to-head battle with non-SPF moisturizer. Going into blind testing, testers didn’t know one of the lotions they were trying had SPF protection at all. So, when they went from applying Era Organics’s luxurious coconut-scented cream ( Complete Natural Face Moisturizer Cream) one moment to a somewhat streaky moisturizer that smelled distinctly like sunscreen the next, they were a bit put-off. Yes, if you’re looking for a truly scentless product or one that goes on transparent right away, this isn’t going to be your first pick. Even so, white streaks and a sunscreen smell come with the territory (and disappear relatively quick). When it does disappear, it leaves behind a slightly sticky surface that takes a little longer to blend in than most of the other moisturizers. But even underneath makeup, we didn’t have any trouble — we just had to spend a little extra time rubbing it in before putting on foundation. A moisturizer isn’t actually adding water to your skin; rather, it’s supporting and imitating the job your skin already does. It turns out your skin is pretty great at keeping bad things (like bacteria) out and keeping good things (like water) in. You need that water in your skin so it can stay flexible and continue its process of shedding old skin cells — without enough hydration, you’ll start to experience dryness and scaling. Dermatologist Dr. Fayne Fry (and her website, FryFace) gave us a lesson as to how moisturizers work to imitate what the skin is doing all the time. The two main ingredients in a moisturizer, the humectant and the occlusive, each imitate a part of the stratum corneum (the outer layer of skin that’s responsible for retaining water). According to Dr. Fry, the humectant, or water-attracting ingredient, is imitating the building blocks of the stratum corneum: groups of water-soluble compounds called the Natural Moisturizing Factor (NMF). The NMF gets water from the environment and the body. Occlusive ingredients, added to formulations to keep moisture in the skin, are imitating the “waterproofing lipids” that do the same thing for your skin naturally. Emollients, then, are added just for our benefit. We like our skin to feel nice, not just hydrated, so they fill in the cracks and smooth things over. That’s a pretty simple recipe, and most companies will add in other ingredients like antioxidants, preservatives, or fragrance. But all those are doing something beyond what a moisturizer’s true job is: To imitate the skin's natural process. Most moisturizers contain at least one ingredient that might clog pores. Comedones, the scientific word for blackheads, crop up when hair follicles get clogged. Ingredients that are more likely to cause comedones on acne-prone skin than others are called “comedogenic.” You’ll hear experts and doctors recommending acne-prone people to use products that are “noncomedogenic," but the FDA doesn’t regulate that word on beauty product labeling. 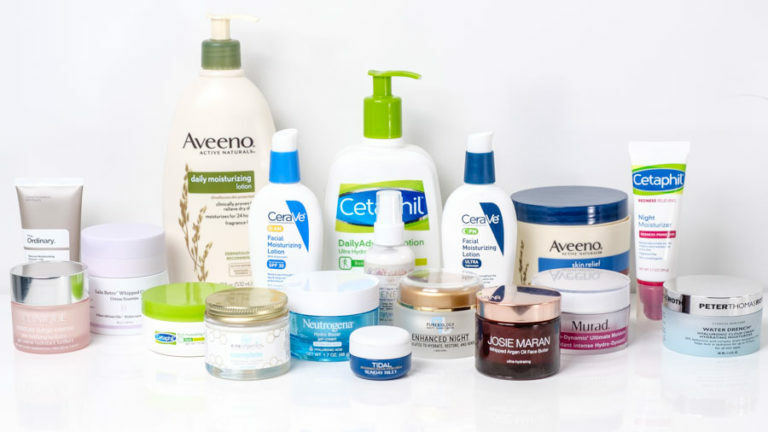 So, to recommend products for acne-prone skin, we looked to the comedogenic ingredients pointed out by Face Reality Acne Clinic and The Acne Treatment Center and compiled them into one list. In total, there were 88 ingredients that might cause unwanted pore-clogging for acne-prone people. 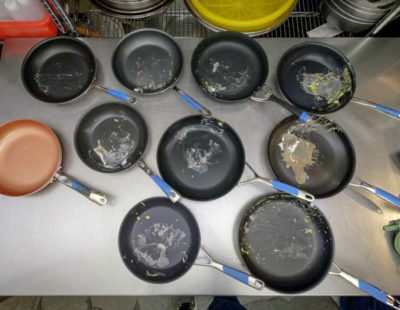 Only five of the 18 products we tested didn’t contain any of the ingredients from that list. A moisturizer with retinoids isn’t as effective as a dedicated wrinkle cream. Face moisturizers aren’t anti-aging products. In fact, FDA rules make it so any product sold as a cosmetic can’t legally change skin in a fundamental way. Even so, plenty of face moisturizers do contain retinoids, which are often hailed as wrinkle-busters. As loved as they are, retinoids were found to make the skin more sensitive to the sun in a study back in 2012, and they’ve been shown to react with sunlight to release skin-damaging free radicals. For those reasons, we were only comfortable recommending products with a retinoid — retinol, retinyl acetate, or retinyl palmitate — for night use. Dermatologists recommend using sunscreen separately from moisturizer. We’ve all heard that sunscreen is a must and that UVA and UVB sun rays are skin’s worst enemy. So it seems logical that the best daytime moisturizer should contain some SPF, right? Most of the doctors we spoke to actually said that’s a little off-base. Dermatologists prefer you put your sunscreen on before you apply face moisturizer to maximize its effectiveness. “If you want the rated protection,” Dr. Schultz told us, “you better be sure your sun protection goes on first.” Plus, people don’t apply face moisturizer with the thoroughness that sun protection requires, skimping on coverage in vital areas like the nose or ears. Get yourself a good face sunscreen. We'll teach you what to look for (and which products are best) in our sunscreen review. Since a separate face sunscreen is ideal, we didn’t require daytime moisturizers to contain any SPF when we evaluated our finalists. But we’re fully aware that adding another product to your morning routine can be a real pain, and a face moisturizer with SPF protection is better than no SPF at all. Just one face moisturizer with SPF passed our test for ingredients, and we feature it as a top pick for daytime only. Wearing a moisturizer with SPF to bed is a little like wearing a strapless bra with a turtleneck: It’s not necessarily wrong, but why would you?